DIY Doctor maintains a number of websites that are related. We draw on these additional facilities to ensure you have a complete service. Here are our sister sites and what they can do for you. This is the webs most simple extension pricing solution for an extension. Use it when you are planning and budgeting to see what you are likely to be able to afford. Use it to check quotes and understand the variation between the quotes that you have got, by printing off the complete itemised list of materials and labour. There is even a Trade version which makes it easier to produce quotations and estimates. Click here to Price Doctor your extension. 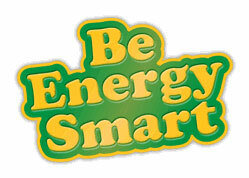 Here you will find lots of information about green energy solutions which will be appropriate for your home. Use the Energy Assessment to see which energy saving solutions will save you the most money before you have to go to the expense of getting a paid assessment. See which green energy will work best in your home. Market Doctor offer specific marketing advice and services to companies that serve the Building and Home improvement Trade. After many years experience in the trade, and marketing the trade, Market Doctor is a very specialised marketing consultancy. Having launched countless new products into the industry and help numerous business navigate the tricky transition to marking on line, this is a marketing agency with all the battle scars. We’ve taken all the bullets for you! If you want to market your business or launch a new product into the construction sector get in touch now. This is the building company that is run by the team behind DIY Doctor. We operate in Somerset covering all of Bath and northern Somerset and do all kinds of building and renovation work. If you would like the DIY Doctor team to work on your home, please get in touch. Foundations Up Construction have been appointed the LoftZone installer for the South West covering Bath, Bristol and Somerset. We specialise in loft boarding, loft ladders and hatches.